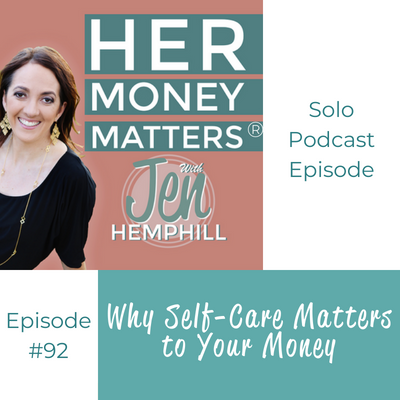 When was the last time you spoke money and self-care in the same conversation? Chances are rare. We don’t think self-care matters when we think money, but the fact is that it does. Even though we tend to disregard it, we need to do more self-care! It doesn’t have to be another dreaded “to do” for your list, it can be simple. Self-care, if you allow it, will make your money journey easier and more enjoyable. I myself have struggled with self-care. And I think about it a lot. I have come to realize that self-care is something that we need in order to be successful with your money. Tennille is a busy mom of 3 who has been looking to conquer the fear she has around money. She just came into our group and is such a great addition! Thank you Tennille for your contributions! Self-care is identifying your needs and fulfilling them. These are things that you yourself must do, and is necessary to maintain the joy and light in your life. There are three types of self-care: Mind, body and soul. I highly recommend an article entitled 45 Simple Self-Care Practices for a Health Mind, Body and Soul. There are some excellent self-care ideas that don’t necessarily take a lot of time in your day to do. We all have the occasional, and sometimes frequent overwhelming day where we are just going through the motions. You suddenly realized that it is dinner time and you just don’t feel like cooking. So instead you just order some pizza without thinking about the money spent. Imagine instead taking some time for yourself, and breaking the routine of go-go-go. Maybe it’s by taking a nap, going for a walk, or anything intentional that help take care of you. Chances are good that if you take the time to do this you won’t be ordering that pizza and saving that money instead. But who has time for self-care? Sometimes, we barely have time to get through our days, and adding another thing to do in the day seems impossible. Rachel Luna, a future guest on HMM, has shared an affirmation that goes like this: Time bends for me. When I take the time I need I get the time I want. Our mindset is directly affected by self-care as well. When we are overwhelmed and tired, our thoughts about money can become negative, or stagnant. Taking time for self-care recharges our batteries and allows us to get into a better place, and hence improve our money mindset. Think back to last week, and write down what self-care items you did for yourself. Share with us how either having, or not having any self-care affected your money decisions. Write down a list of 10-20 self-care items you can put into action so you can have it handy for when you are feeling stressed and need some inspiration.